Windows Hello is a new speciality in Windows 10. 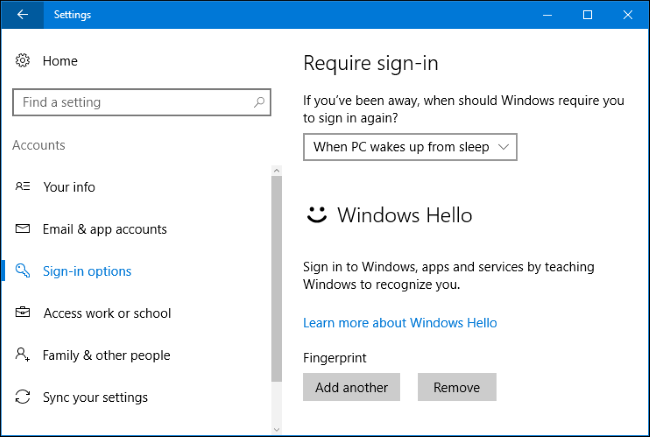 It is more personal and secure way to get instant access to your Windows 10 devices using fingerprint, face, or eye recognition. Most PCs with fingerprint readers are ready to use Windows Hello now, and more devices that can recognise your face and iris are coming soon. As of now, there are some advanced laptops and tablets which have Windows Hello and compatible fingerprint readers as well as webcams. If you have a pre-Hello laptop or desktop, though, you’ll need to buy a USB fingerprint reader or webcam. 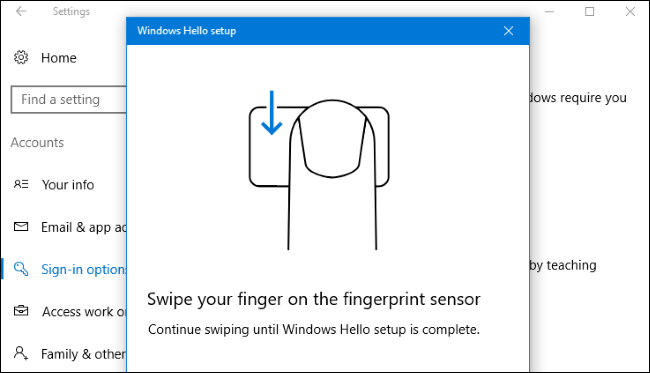 Note: While buying a USB Fingerprint reader or webcam, it is important to know that not every fingerprint reader or webcam will work with Windows Hello. 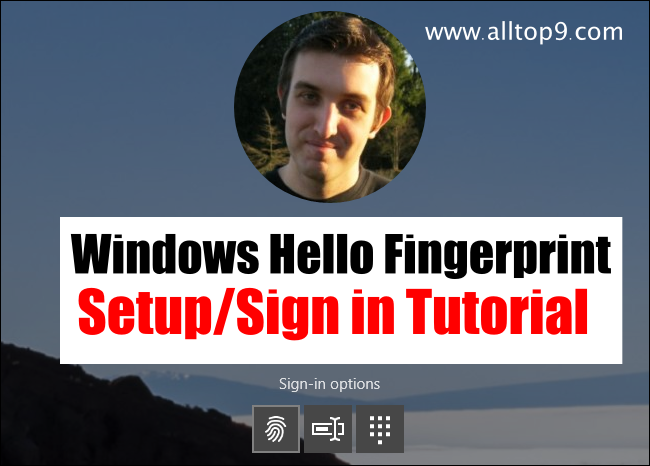 To use Windows Hello feature, the USB fingerprint or webcam needs to have been designed as per the Windows Hello requirements. As per research, there are two different USB fingerprint readers from different USB fingerprint readers from different manufacturers. After a little research, I recommend Eikon Mini Fingerprint Reader which costs $25. It’s the cheaper, smaller, and more reliable of the two which are tested, so there’s no reason not to go with it. Another one is The BIO-key SideSwipe Compact USB Fingerprint Reader which costs $40. 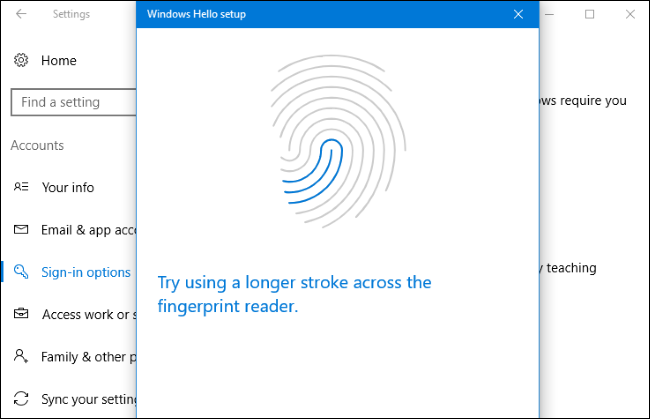 This fingerprint reader is officially endorsed and sold by Microsoft but it didn’t work as well in some tests. While logging into Laptop, BIO-key fingerprint reader had a trouble that we had to swipe multiple times to sign in. But, the Eikon mini fingerprint reader never made any trouble. So, I recommend Eikon mini fingerprint reader. As the both readers are designed for Laptops, there are desktop versions available with attached cable. We already discussed that there are multiple options to sign into Computer/PC, in that Face recognition is one. If you want to use your face as a password, then you can purchase Windows Hello compatible webcams that will help us automatically sign into PC by just looking at your face. It is little difficult to find the Windows Hello compatible webcams. Don’t worry, here’s my suggestion of webcams which are compatible and can be used without any problems. Intel’s RealSense hardware supports Windows Hello, but Intel sells it as a developer kit. Another one is Razer Stargazer webcam incorporates Intel RealSense hardware and should work with Windows Hello, but is a Whooping $150. The $129 Tobii eye tracking gaming peripheral also claims to support Windows Hello. We didn’t test any of these devices. These webcams promise facial recognition on your existing PC, but you may want to wait for future Windows Hello-compatible webcams with solid reviews. Click the “Add” button to add a fingerprint or the “Set Up” button to set up facial recognition. Once the Windows Hello setup it was done. Just turn off your laptop/PC and then restart to see the changes. After turning on the Laptop/Desktop you can see the sign in options as shown in the below image. 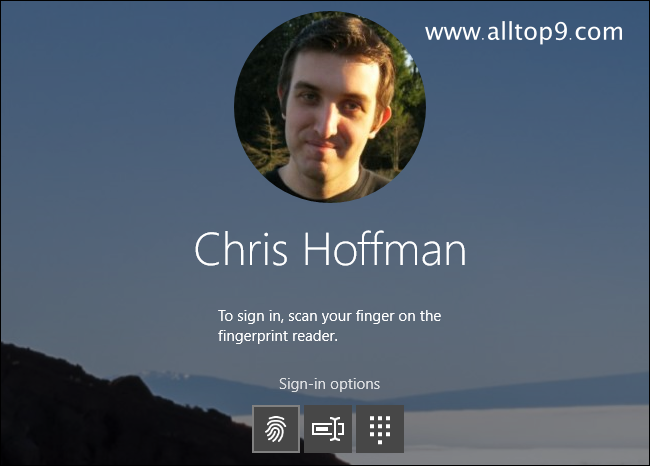 Not only Windows hello finger print, you can also use PIN to sign into to Laptop or PC. That’s all about the Windows Hello. Check out if your laptop/PC has this option and do the setup for more safety. If you have any queries regarding Windows Hello Setup, sign in, sign off, compatibility, etc, let us know in the below comments. We will be happy to help you with any of the queries. thank you for this informative post. it is very important thank you for this article and information. How’s the accuracy of it ? because i came across with different fingerprint but the accuracy is not that good. Hope this will help me. Thanks for the post.